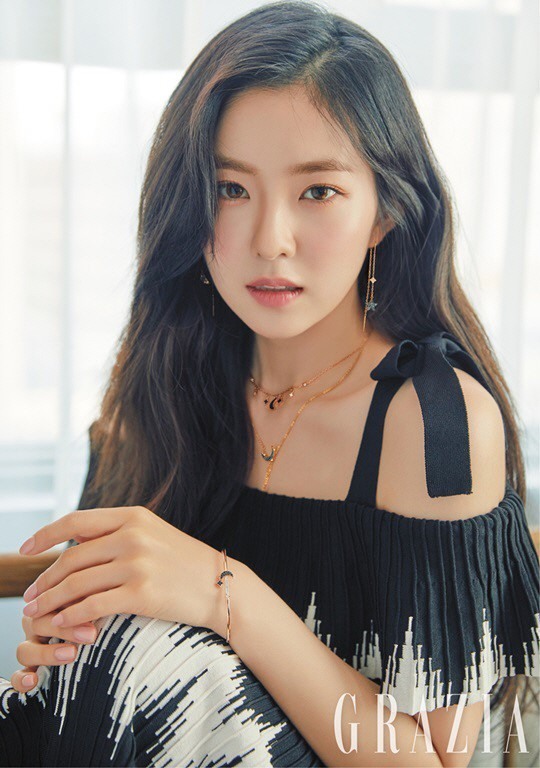 Irene of Red Velvet discussed her time-management strategy and her love for her fans in a recent interview for the September issue of Grazia. The singer, who’s been enjoying the limelight with the hit “Power Up,” makes plans every day so she can stay energetic while keeping up with her extremely tight schedule, she said in the magazine interview. necklace and bracelet, and in another she pairs a green leopard-print dress with a beaded necklace. She also appears in a blue off-the-shoulder T-shirt with her hair in an updo. Red Velvet is currently promoting its new summer EP, “Summer Magic,” in which “Power Up” is the lead track.